Last night we screened "King Corn" to a packed auditorium at Iowa State University. This was the first big showing in the state where we made the film, and I’ll admit to some trepidation going into it. “You ready for the angry mob?” one of our hosts asked. Iowa State is a powerhouse Land Grant university, and its agriculture department has long been a force behind our national shift to industrialized farming and eating. If ever we were going to get tomatoes thrown at us, this seemed like the place. But just the opposite happened. 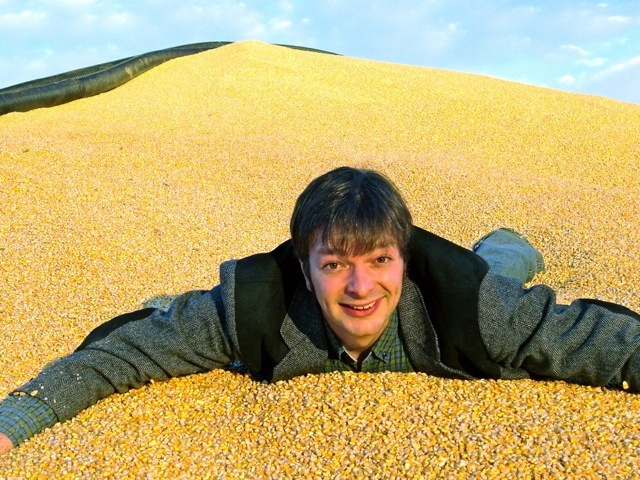 Three hundred people — a mix of farmers, professors, and students — came to see "King Corn," and the feedback was almost universally positive. I started getting nervous at one point in the Q&A, because nobody had criticized us yet. I asked for a show of hands: “Who didn’t like the film?” But none went up. I wish I could say it was because we made a good movie, but I think it has a lot more to do with Iowa. For those of us who hop from coast to coast by plane, we sometimes imagine that the search for agricultural alternatives is a New England thing, a California thing, or a Northwest thing. But some of the strongest momentum for food reform is coming out of the Midwest. As we saw last night, all over Iowa, young people are buying farms, testing new ideas, and beginning to build a more sustainable agriculture in the buckle on the Corn Belt. 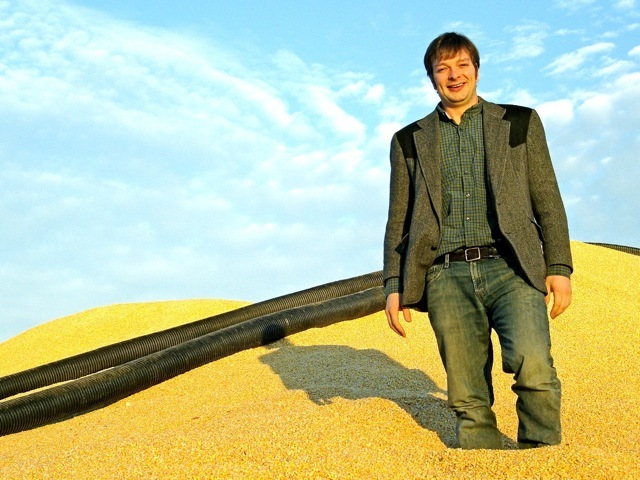 With ethanol eating up much of Iowa’s corn harvest these days, farmers who want to grow food are starting to question the wisdom of giant corn-fed feedlots and corn-sweetened sodas. The obesity epidemic is taking its toll on Iowa just like everywhere else, and the need for fresh food in schools and small towns there is real. (I should know; holding true to my non-corn diet was nearly impossible.) But a diverse group of people, from corn farmers to organic farmers to aspiring farmers, are looking for solutions. At ISU, the Leopold Center for Sustainable Agriculture is leading the charge, but a host of progressive groups like the Practical Farmers of Iowa, the Iowa Farmers Union, and the American Corn Grower’s Association are active throughout the state. With their help, ideas that address the realities of large-scale agriculture are emerging, along with farmers' markets and CSAs. After more than a month on the road with the film, going to Iowa felt somehow like coming home. The corn has almost all been harvested, and the straight-line roads feel like they could go on forever. A part of me thought, maybe I should take the plunge: buy a farm and try something new myself. But I’m returning to my other home instead, at least for now. 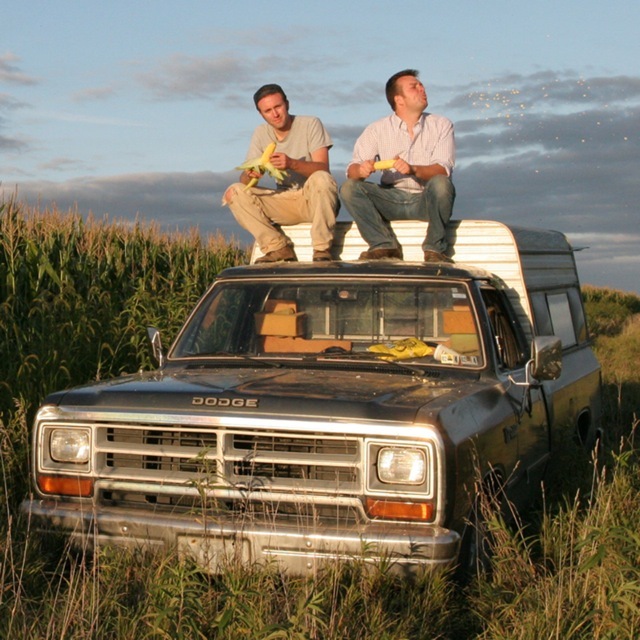 "King Corn" opens in Portland Friday night, and I can’t wait to see it with family and friends all around. p(blue).And if you are in Porland this week and you can't wait to go to the theater for your tickets, you can buy tickets for the Portland shows online here. Then join Curt and Aaron Friday night after the show at the Laurelwood Pizza Co &amp; Brewery, which is on 40th, just around the corner from the theater, for a Corn-free beer.